Smoking more than 20 cigarettes a day can damage your vision, a study co-authored by a Rutgers researcher finds. The research appears in the journal Psychiatry Research. The Centers for Disease Control and Prevention estimates that 34.3 million adults in the United States currently smoke cigarettes and that more than 16 million live with a smoking-related disease, many of which affect the cardiovascular system. The study included 71 healthy people who smoked fewer than 15 cigarettes in their lives and 63 who smoked more than 20 cigarettes a day, were diagnosed with tobacco addiction and reported no attempts to stop smoking. The participants were between the ages of 25 and 45 and had normal or corrected-to-normal vision as measured by standard visual acuity charts. The researchers looked at how participants discriminated contrast levels (subtle differences in shading) and colors while seated 59 inches from a 19-inch cathode-ray tube monitor that displayed stimuli while researchers monitored both eyes simultaneously. 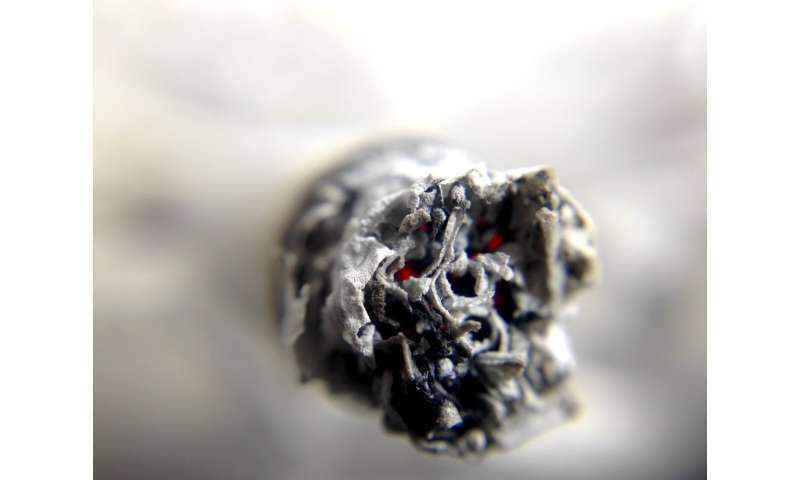 The findings indicated significant changes in the smokers' red-green and blue-yellow color vision, which suggests that consuming substances with neurotoxic chemicals, such as those in cigarettes, may cause overall color vision loss. They also found that the heavy smokers had a reduced ability to discriminate contrasts and colors when compared to the non-smokers. "Cigarette smoke consists of numerous compounds that are harmful to health, and it has been linked to a reduction in the thickness of layers in the brain, and to brain lesions, involving areas such as the frontal lobe, which plays a role in voluntary movement and control of thinking, and a decrease in activity in the area of the brain that processes vision," said co-author Steven Silverstein, director of research at Rutgers University Behavioral Health Care. "Previous studies have pointed to long-term smoking as doubling the risk for age-related macular degeneration and as a factor causing lens yellowing and inflammation. Our results indicate that excessive use of cigarettes, or chronic exposure to their compounds, affects visual discrimination, supporting the existence of overall deficits in visual processing with tobacco addiction." Although the research did not give a physiological explanation for the results, Silverstein said that since nicotine and smoking harm the vascular system, the study suggests they also damage blood vessels and neurons in the retina. Silverstein said the findings also suggest that research into visual processing impairments in other groups of people, such as those with schizophrenia who often smoke heavily, should take into account their smoking rate or independently examine smokers versus non-smokers.